Expecting a baby is usually one of the most exciting times in a woman’s life. But between picking names, baby showers and other fun activities over the nine months of gestation, there are a number of health considerations important to producing a healthy baby and keeping mom-to-be well. Nutrition during pregnancy is one of the most important, according to doctors. “The goal of advising patients about proper nutrition while they’re pregnant is to help the mother be as healthy as possible and get the baby off to a good start,” said Mabel Marotta, M.D., an obstetrician and gynecologist affiliated with West Kendall Baptist Hospital. Adhering to a healthy diet can minimize risks associated with poor nutrition during pregnancy, according to Dr. Marotta. He helps debunk some of the most common myths about nutrition during pregnancy. Myth: Prenatal vitamins are only for women who have vitamin or mineral deficiencies. Fact: Multivitamins specially made for pregnant women provide minerals and supplements that help keep mothers-to-be well and promote healthy fetal development. Most doctors recommend women start taking prenatal vitamins preconception and throughout pregnancy. The benefits of taking vitamins during pregnancy are backed by leading health institutions and research studies alike. The U.S. Centers for Disease Control and Prevention (CDC) recommends women start taking multivitamins when they are planning to become pregnant. The most important nutrients the vitamins need to contain include folic acid, iron, omega-3 fatty acids, calcium and Vitamin D. The risk of miscarriage was reduced by 79 percent in women who took multivitamins during early pregnancy, according to a recent study conducted by the National Institute of Child Health and Human Development. The vast number of prenatal vitamins available – in multiple forms and varying prices – can make it difficult for women to pick the one that’s right for them. “The vitamin your doctor prescribes is the best one for you,” Dr. Marotta said. He recommends three or four different brands to each patient, based on her budget and what type he thinks she will tolerate best. For women experiencing heavy morning sickness and are vomiting, there are certain vitamins that provide the minimum basic minerals in a form they can tolerate, she added. Myth: You’re eating for two and need extra calories. Fact: Most pregnant women overeat, according to the (CDC). The American College of Obstetricians and Gynecologists provides guidelines for healthy weight gain during pregnancy. Dr. Lopez-Linnikov recommends sticking with a regular diet, balanced with the right amount of whole grains, fruits and vegetables, protein, dairy and healthy fats. She also cautions against foods to avoid, especially items with raw or unpasteurized ingredients. Pregnancy affects a woman’s immune system, making her and her unborn baby more susceptible to bacteria, viruses and parasites that can cause food-borne illnesses. Some “bugs” like Listeria and Toxoplasma can infect the baby and cause serious health problems – with or without symptoms of feeling “sick” – according to the CDC. Babies are also sensitive to toxins that can be in food the mother eats, such as mercury in certain kinds of fish, like shark, swordfish, king mackerel, and golden or white snapper. 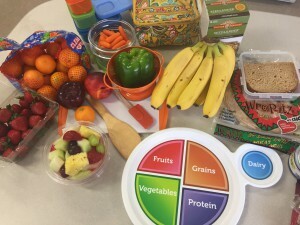 “Any food that has the potential to be toxic should be avoided,” Dr. Marotta said. Other foods to avoid during pregnancy include raw cookie dough or cake batter and premade salads from stores, such as ham salad, tuna salad and chicken salad. Myth: Caffeine amounts can stay the same. Fact: Caffeine is considered a category “C” medication, meaning there are risks associated with consuming it during pregnancy. Research at the National Institutes of Health has shown that drinking too many caffeinated drinks increases the risk of miscarriage. 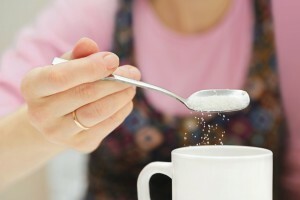 Myth: Eating too much sugar causes gestational diabetes. Fact: If a woman has followed a controlled diet that limits the amount of added sugar and is not genetically predisposed to becoming diabetic, her risk of gestational diabetes is low.